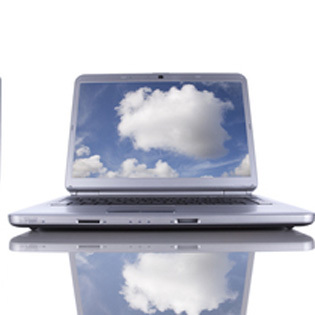 Small businesses are moving in droves to the cloud. That’s because it’s really the smartest way to connect with a fickle consumer base; it’s secure, inexpensive, and scalable to meet your needs. That’s why every industry sector, from small business to enterprise organizations are moving critical business functions to the cloud. This is a massive trend affecting every business on the planet. How are these trends affecting us, and who’s benefiting the most from the great cloud migration of 2017? 1. Public cloud adoption is very high. The public cloud, (which is basically a shared pipeline), seems to have eliminated security concerns as more enterprise-level organizations are migrating. Some of the stats on who’s holding the highest amount of data storage traffic include AWS at 31%; Azure has 9%; IBM at 7%; and the Google Cloud holding at 4%. Clearly, more workflows are going to the cloud, so security and performance will have to expand so the drain on resources doesn’t affect consumers. Cyber security is going to go to the top of the list, in terms of issues affecting cloud computing. Experts are predicting an increasing rise in data breach events, and network security experts are going to have to work hard to stay one step ahead of hackers. To find out more about our security as a service model, Request a Quote. 2. Managed Services is going to expand, as Security as a Service (SecaaS) providers take over more IT processes. Workflows will increasingly be governed under cloud computing business processes as companies take advantage of an API-driven cloud marketplace. 3. Bigger companies are going virtual this year, as the cloud migration finally hits finance, manufacturing, and some of the other more stoic and conservative industries. The migration of early adopters is over, now cloud migration is hitting the Johnny-come-lately industries that were initially concerned about cloud security. Now big data is joining everyone else in the cloud. 4. New services are going to emerge as the disruption period has evolved into a more established way of doing business. An increased use of machine-driven analytics and application services are going to evolve into cloud models, offering the same affordability and convenience of prior SaaS and PaaS models. 5. Businesses will fail that fail to change with cloud adoption. It’s this simple; consumers are driving this migration. There is a digital device in every hand, and in every household. It’s a real-time, on-demand world, and your customers are going to expect you to keep up. For those businesses that don’t this might be the tipping point year, where those that fail to evolve, will simply, dissolve. Get a free assessment and find out more about how your business can evolve to a cloud computing model.